Hi, I’m Claire Robinson and I’m the Managing Director of Extra Help. I originally started my business with a friend, in 2010. We both had a passion for helping people and identified a gap in the market for providing domestic help to the elderly. Although Extra Help started by working exclusively with elderly and vulnerable clients, it soon expanded and now also provides domestic and home-help services to working professionals, new parents and just about anyone who needs a helping hand. I began my career as a nursery nurse, working within the education sector and for Inner London Social Services. 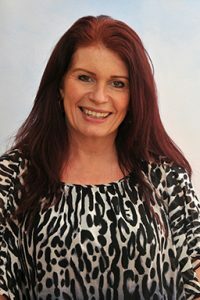 However, since 1997, I have been involved with the inception and running of several businesses; firstly managing a construction business with my husband and, after our divorce, setting up my own publishing company, which produced and distributed A5 sized, community magazines to 42,000 homes across Milton Keynes. At the same time, I created a business networking organisation, with branches in Buckinghamshire, Bedfordshire and Northamptonshire, gaining further, valuable business experience. However, I’m constantly looking for new challenges and Extra Help came at just the right time for me. I had made the decision to change my life and move to the South West; my publishing business was already up for sale and everything fell into place at the right time. As this was a totally new market for me, upon moving, I decided to start from scratch and open my own branch of Extra Help in my new, local area. I was determined to be hands-on and learn from the bottom up, especially as I would be training others. I gain enormous satisfaction from bringing new franchisees on board and helping them to grow their own businesses. My ultimate goal is to open Extra Help franchises across the country, thereby providing domestic services to everyone who needs them, wherever they may be. I have also recently qualified as a life and business coach, gaining a grade 5 ILM Diploma. Alongside this, I am also an NLP master practitioner. Life hasn’t always been easy, like many of us I’ve had my challenges and disappointments but ultimately I’ve learned from these and moved forward. I believe my passion lies in enabling others to be successful. People say I am a positive person, with endless amounts of drive and enthusiasm. In my spare time, I love to walk my two dogs on the beach or moors of Devon and spend quality time with my children and friends. I am also a self-confessed foodie, so I love to dine out and then work off all of the calories and keep fit by attending fitness boot camps!